MOSCOW (Sputnik) – The Russian State Duma will analyze the new documents released by hacktivist group Anonymous regarding a UK-financed hybrid warfare project, called Integrity Initiative, that aims to counteract Russia's activities, the Duma's official Alexei Chepa told Sputnik. "If there is evidence, then it should not be ignored, and this [carrying out an international investigation] should be talked about," Deputy Chair of the Russian State Duma International Affairs Committee Alexei Chepa said on Monday when asked whether Russia would seek an international investigation into the activities of Integrity Initiative. The lawmaker noted that a special international commission may be convened to analyze the documents further stressing that an analysis should be carried out prior to any accusation "because this could be a false story." Chepa's statements come after Anonymous released documents related to the United Kingdom's Integrity Initiative project last month, saying that the program had been launched in 2015 and was funded by the UK government. The hacktivist group claimed that the program was a "large-scale information secret service" created by London to "counteract Russian propaganda." A new batch of documents was released earlier on Monday. According to one of Anonymous' websites, the Integrity Initiative project was founded in 2015 and funded by the UK government. Financier William Browder, Vladimir Ashurkov, an associate of Russian opposition figure Alexey Navalny, and scientist Igor Sutyagin, found guilty of espionage in 2004 and subsequently pardoned, were named as people who had ties with the project. The cost of the project for the fiscal year ending on March 31, 2019 is estimated at 1.96 million pounds ($2.51 million), according to the leaked documents. The stated goal of the project is to counter Russia's information activities, according to the hacktivist group's website. The US State Department, NATO and Facebook are mentioned among the organizations and institutions that have allocated grants to the project. 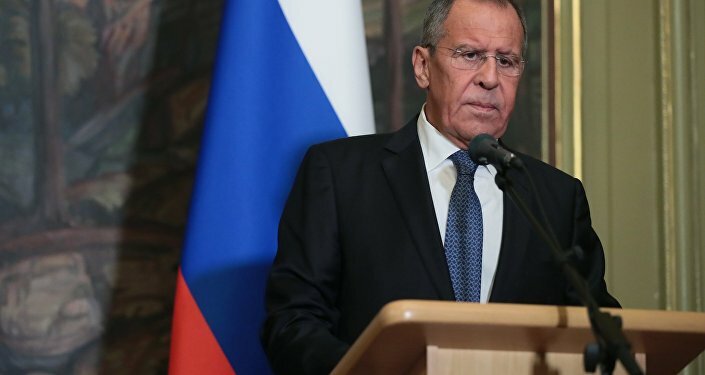 Commenting on this information, Russian Foreign Minister Sergei Lavrov noted that Integrity Initiative's only task seemed to be to "denigrate Russia in the public eye in foreign countries." ‘Disgusting’ and 'Bizarre' NYT Op-Ed a Political Launchpad For Anonymous Author?